I can’t imagine being more smitten by a color palette than that of this study, which looks anything but studious! 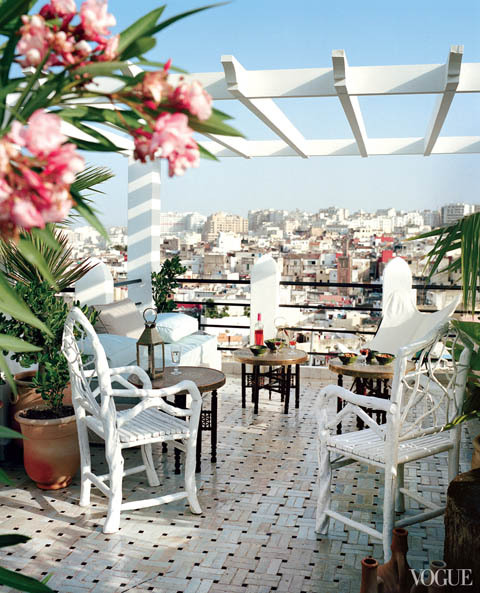 In the Tangier, Morocco, home of Bruno Frisoni and Herve van der Straeten, exists a magical blend of history, modernism, color, and neutrals, all woven together much like the city outside their doors. The resident artists’ own pieces are complemented by commissioned works created by the abundant master craftsmen in the local market. 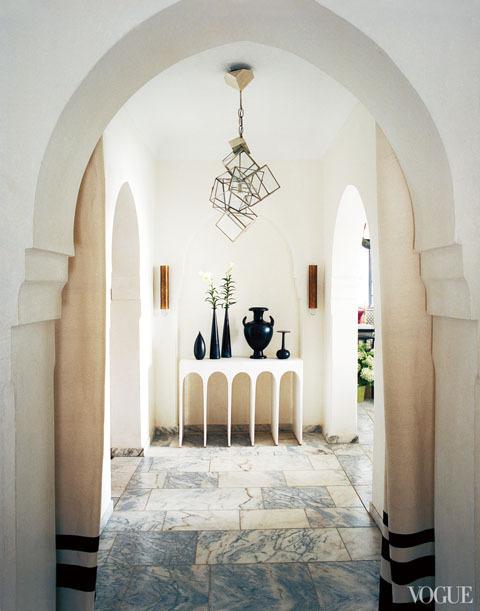 A myriad of inspirational resources from ancient crafts to travel is apparent in every room. 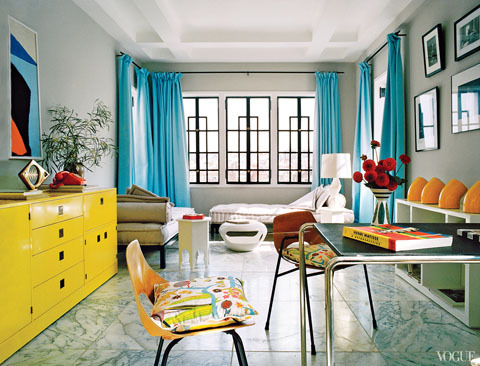 In the colorful study, the brightly saturated furnishings are inspired by Henri Matisse’s paintings created during his stay in Tangier in the early 1900s. Brass beggars’ bowls from Damascus are transformed in to hanging lamps for the dining room. The geometry of the entrance hall is accentuated by van der Straeten’s fluid console and punctuated by his cubist light fixture, my personal favorite. Taborets, pendants, and a tea table designed by van der Straeten float on the living room’s random sized grey veined marble carpet. Find cooling luxury in the marble lined bath and plunge pool. 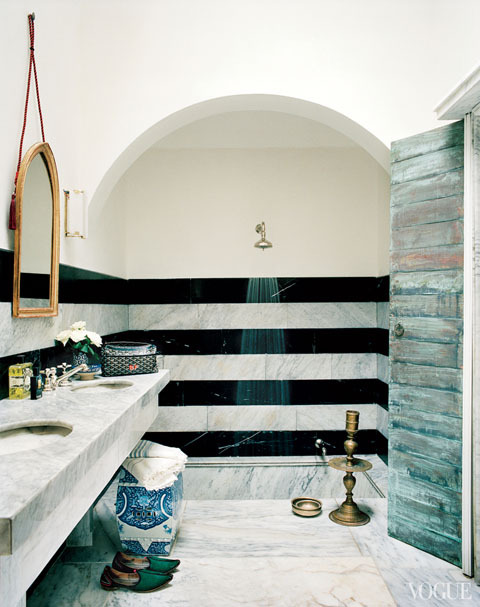 The black and grey-veined marble stripes are inspired by Syrian travels. Touches of warm gold and brass remind you of your exotic locale.